The stainless steel knives come with stainless blade and handle. Feature a slide lock and pocket clip/blade snapper(Plastic or Stainless Steel), a simple tool to help you snap blades of your knives when you get tired of having dull knives . 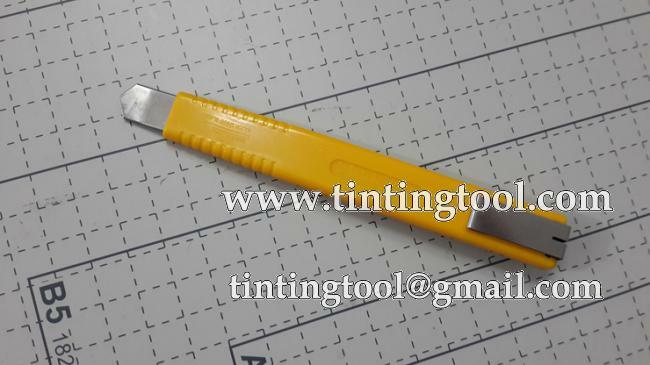 The stainless steel cutter is perfect for use in moist environments (wall papering, window tinting, etc.) where rust is a concern. 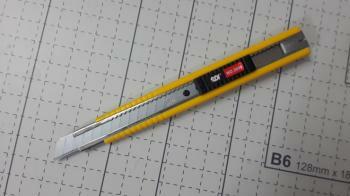 Both are preferred knife for professional installers. Matches blade TM-052. I love this knife! The blades are very sharp and strong. 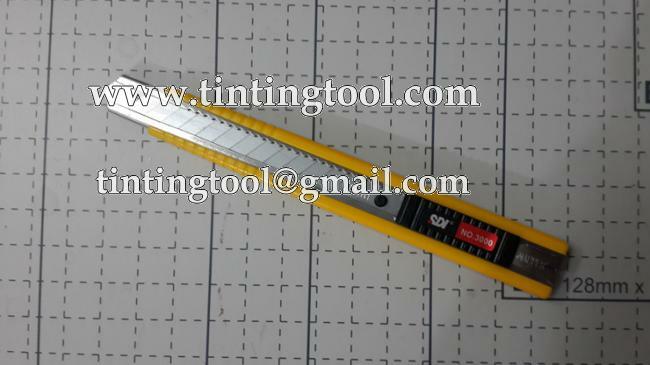 The small size allows for easy use for navigating tight corners and profiles. The integrated blade breaker makes it simple to break off a dull section of blade. Great for upholstery work. Well made and easy to use with robust "clicks" as you slide the blade in and out. Blade stays firm when set as it should. 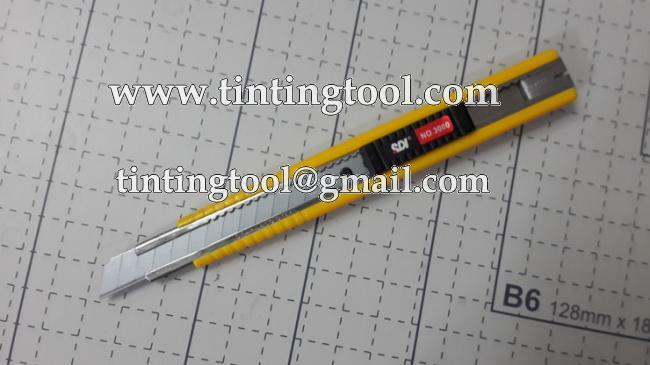 Blades are like any other, so I got this cutter first and foremost to have the better mechnics and feel that you get with a solid metal type cutter. 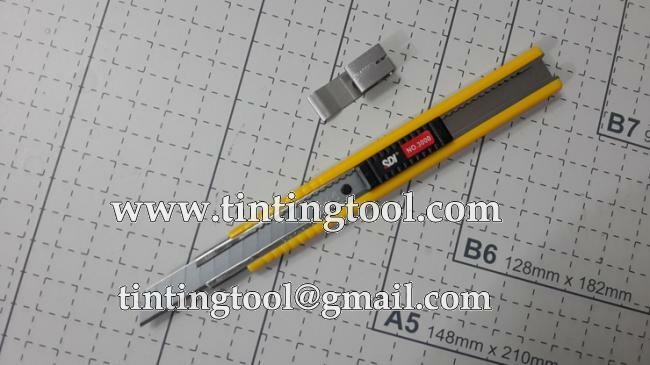 We have send you the steps of change blade by email. Hope to help you and have a nice day!